BNP Paribas is one of the best-positioned international financial institutions with an uninterrupted presence in Asia Pacific since 1860. On the occasion of its launch on WeChat, BNP Paribas wanted to communicate its digital presence in an effective way to its audience with an innovative campaign. BNP Paribas then roped in Social & Mobile Agency KRDS Shanghai known for its prominent WeChat expertise to recruit BNP Paribas followers on WeChat. 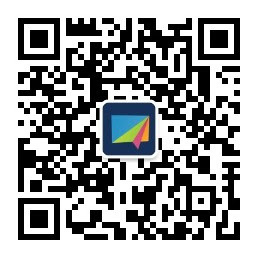 Thus, the internal campaign ‘BNP Paribas Brand Ambassador’ was launched by KRDS Shanghai and BNP Paribas on WeChat on August 16 – August 25 2016. The campaign strategy included recruiting new members using a unique QR code assigned to each employee. Following this, the employee was encouraged to share their unique code with BNP Paribas stakeholders (clients and partners) so they can scan the code to follow BNP Paribas on WeChat. The campaign was launched successfully on August 16th and hit over 3 times the target followers within 3 days of the campaign. KRDS Shanghai also bagged a Community Management contract with BNP Paribas for a period of 1 year and upcoming social media and digital campaigns.